It should never be the case that you go into a game thinking the absolute worst, but it happens. I honestly had no hope whatsoever when starting up New Star Manager. After all, I have played my fair share of football management simulators before and football games in general, both good and bad. It also didn’t help that it hasn’t been all that long since Football Manager 2019 Touch hit the Switch, which is undoubtedly the best game of its type on any console, so it would be a tough act to follow regardless. I had never played the game on mobile where it started life, nor did I play the previous game in the series, New Star Soccer. Much to my surprise, I discovered that New Star Manager doesn’t try to imitate what FM does, it instead implements some rather unique gameplay ideas to make it not only stand out but to make it a bit more involving for the player. Of course, FM has always allowed you to go into a lot of depth, but once you pick your team and head into a match, all you are able to do is change a few tactics if required and make subs. Here, you are the one who actually builds up the play and scores the goals. Whilst all of the dull stuff is played out in walls of text during the matches (which you are able to speed up, too), as soon as your team is on the attack, it switches to an overhead view and now you are in control of the action. You pass by simply tapping on different players, make off the ball runs by dragging players who aren’t in possession, dribble by dragging back on the player in possession and of course, shoot when given an opening by slightly pulling back on the player and then releasing. When you are shooting, you don’t want to be hitting it too hard as it will sky the ball well over the bar. Likewise, you don’t want to be hitting it too soft, as it will make it easy for the keeper to make a save. Finding the right amount of power is half of the battle and once you get the consistency right, goals will be much easier to come by. After you set up your shot, the camera changes, the ball rolls onto the screen and you must tap on the ball in order to strike. Again, if you tap the ball at the bottom you may very well loop it over the bar. I found the gameplay to be super fun, but it only lasts up to a point. You see, while I had I lot of enjoyment scoring the goals myself and it is very different to other management sims in this department, once I found out a sure fire way to score, there wasn’t any real challenge anymore. I won 10 games in a row using the exact same tactic and more worrying, scoring 90-95 percent of the chances I was presented within those games (and after, too). This naturally made matches difficult to draw or lose. I would get to either the left or right side of the goal, slide the ball across the box to an unmarked player, leaving me to shoot into an open net. Once this happened, a lot of the enjoyment went out of the window; there was just no skill or challenge to it anymore. To counter this, there is no way to prevent goals from being scored against you, but I do not think that was the reason to not include such a feature. Whenever the opposition score, you just have to accept it, as when you get to take control in matches, it is only ever when your team are on the attack. It isn’t as if tackling isn’t built into the game either, as you are able to regain possession back if you lose it whilst on the attack, so it makes the decision to exclude preventing goals going in against you all the more baffling. There is a surprising amount of stuff to do in between matches though, which helps keep some of the fun there and certainly can keep you hooked. It never gets into the level of detail that the Football Manager games do, however. Those particular games favor the smaller details that all add up in order for the player to shape their teams in exactly the way they see fit. Here, it is completely different. You manage the facilities around the football ground and one of your biggest objectives in the game is to upgrade each of them, which will benefit your team and club in lots of different ways. Improving the stadium, for example, will improve passing accuracy and help prevent injuries happening during matches. The youth academy will allow young players to come through and further improving it will increase the quality of these players, meaning you don’t always need to go out and spend money on new players, as some good talent will be right on your doorstep. There are others too, such as training facilities, a club shop, a medical center, and a scouting office. At the end of the day, the main gameplay loop here is winning matches in order to get more money, so the club can continue to grow by buying better facilities that improve your team, which will make winning easier. That obviously then earns you even more money, so you can then buy better facilities that bring in money through other means, such as gate receipts or club merchandise. Ultimately, your club will start going up the divisions and will be able to sign better and better players. 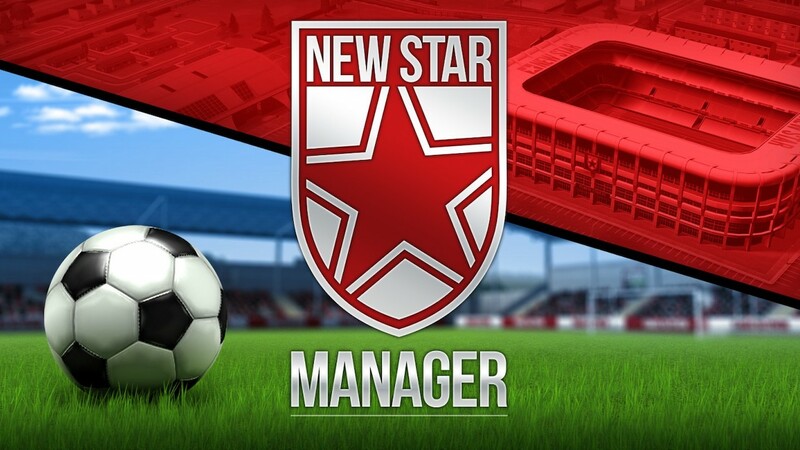 Being a mobile game to begin with, New Star Manager is best played as a touch only game in my opinion, as everything in the game is quite clearly built for a mobile device, big buttons and all. I found it to be much more fluid when in matches than using traditional controls, as it doesn’t all of a sudden turn into FIFA when using them. For example, you don’t just move the left stick to move a player around, you have to press a button first and then the left stick. It just didn’t feel natural to me. New Star Soccer presently surprised me and it got me hooked from the first minute of switching it on. The gameplay loop is satisfying and scoring goals feels great. It’s just a shame then, that I found a nailed on way of scoring every time, which eventually caused the game to become too easy and samey. If Football Manager interests you, but you would rather have a little more input during the matches, then this might just be the game for you. An unexpectedly good and different take on a football management sim.